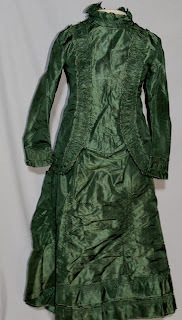 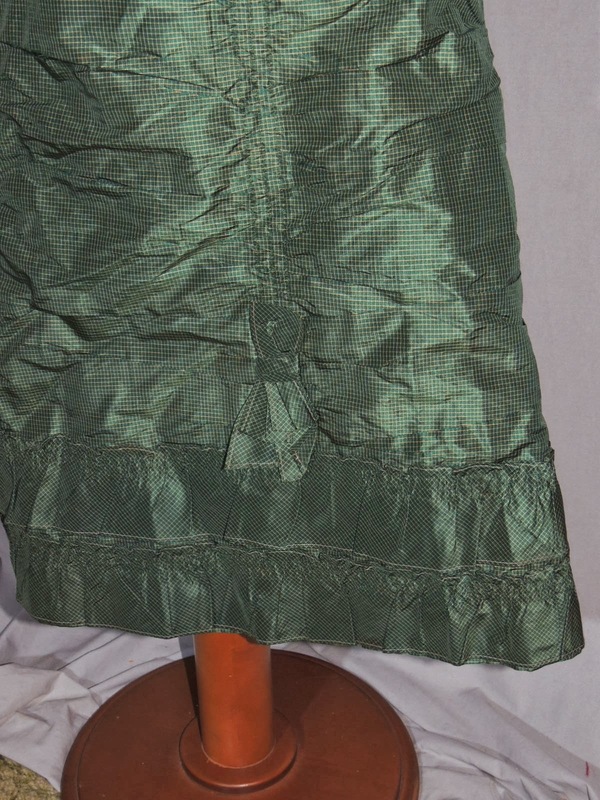 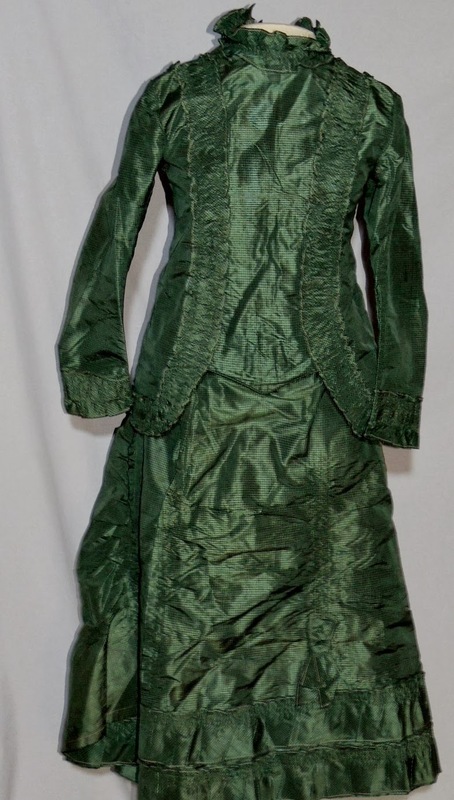 This cute girls bustle dress is made from a dark green silk taffeta with a pink pin stripe making small checks. 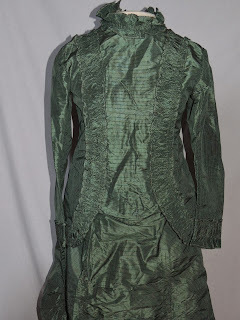 THe bodice is trimmed with ruched bands of the same fabric, pretty Victorian buttons. 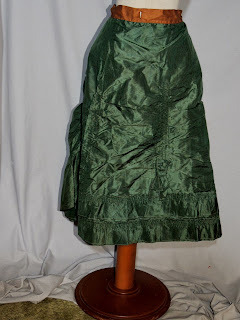 The skirt is shirred , it has tucks around the bottom and 2 ruffles around the bottom edge. The skirt has a split about 2 inches on a fold line, the button at the waist in back has torn off leaving a L shaped tear on the waistband. 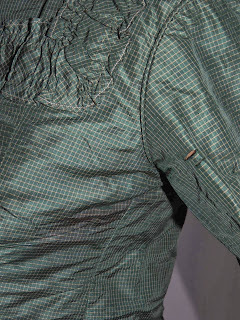 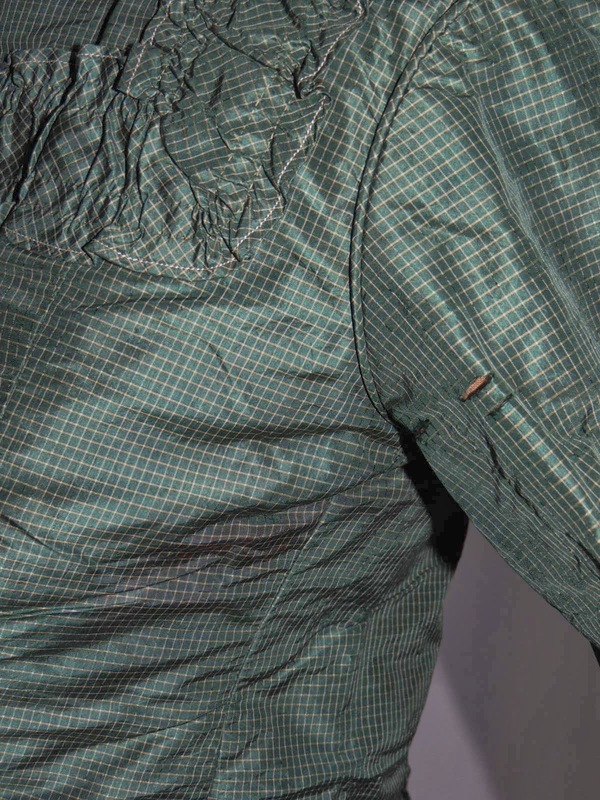 Both pieces have minor spots and small scattered holes, the top has a 1 inch split on the sleeves, both pieces have small scattered spots and small holes. 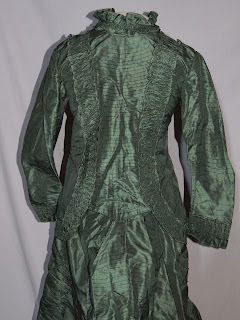 both pieces are lined with brown cotton. 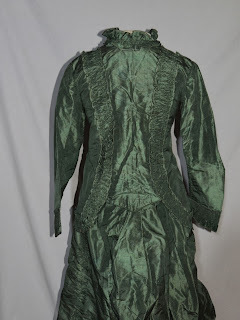 It measures 30 1/2 inches around the bust, waist is 28, across the back shoulder is 13 1/4 inches and it's 20 inches long from shoulder to the shorted point in the center. 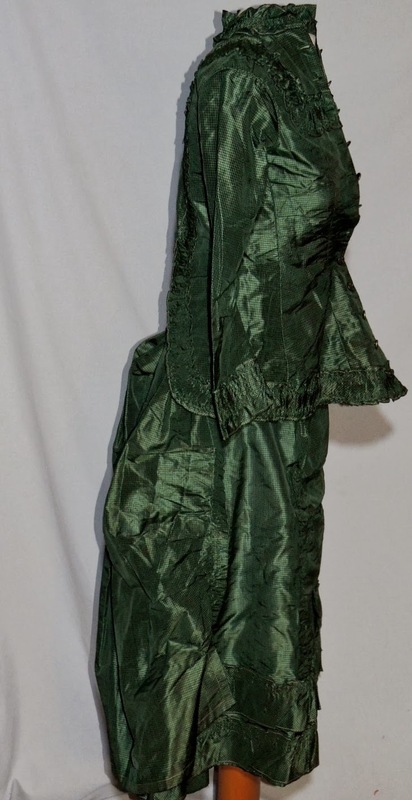 The skirt measures 27 1/2 inches, hips are 41 and it's 28 1/2 inches long. 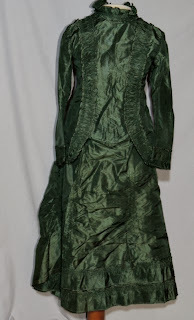 I kinda want to wear something like this for Christmas myself.... 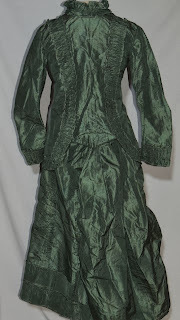 It is a dress designed for a young miss (teenager) however. I wish the seller had put a pillow beneath the back of the dress to show off the bustle. It looks like it would have been quite the dress!